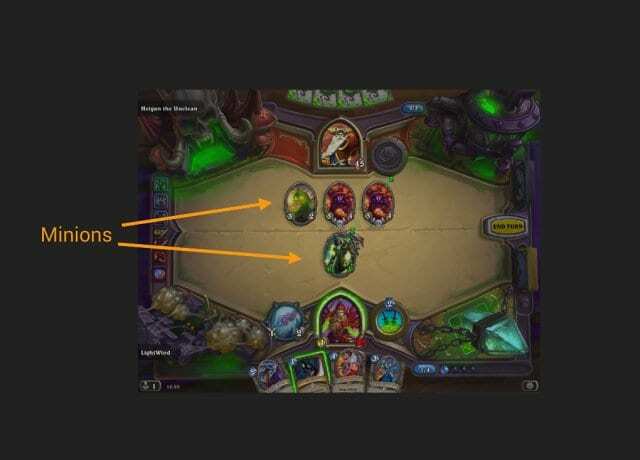 At Defcon 22, Elie Bursztein and his wife Celine present their research about finding undervalued cards in Hearthstone and predicting the opponent’s actions. Hi everyone! My name is Elie. Today Celine and I are going to talk to you about Blizzard’s new game Hearthstone. Just a quick disclaimer before we get started: this is our personal work, and it does not represent in any way our employer’s point of view. That being said, if you are looking for a new job Google is hiring, so if you’re interested – come talk to me after the talk. Hard to do it, guys… And then, with that out of the way, let’s get started. 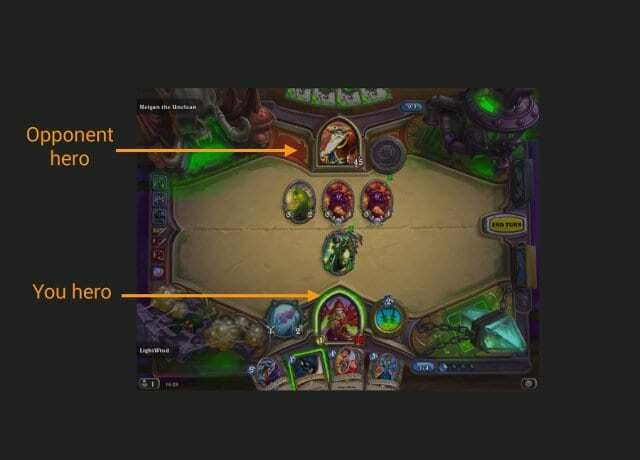 So, Hearthstone is a digital collectible card game released by Blizzard earlier this year. It is based on the universe of World of Warcraft, and it’s an amazingly addictive game. With everything which is too interesting, sometimes unintended consequences happen. At some point during the last few months, we started to be more and more interested in how the game is structured, how we can understand it better and build a tool for it rather than playing it. I remember from May to June I think I played only up to level 5. But it’s an amazing game. If you haven’t tried it, you should. It’s free to play. It’s available on your computer – Mac and PC – and also has a mobile version for iPad, and hopefully anytime soon for Android. Looking at this, it’s also a very good excuse for me because I finally convinced my wife to come on stage with me and do it for a Defcon talk. That’s something I really wanted for a long time. That’s her first talk, so please be nice with her. Alright, what are we talking about today? We are going to talk about game complexity. 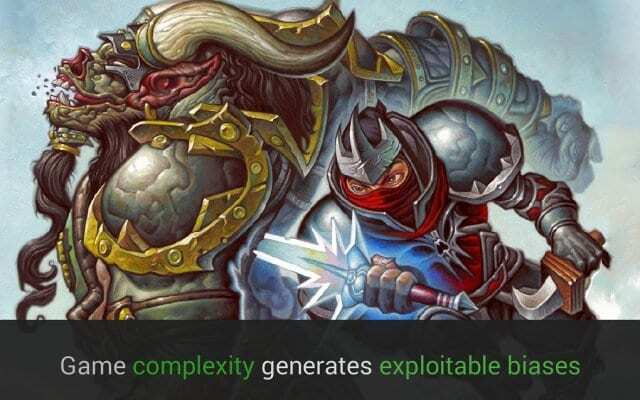 Hearthstone has about 500 cards now, and complexity creates bias. And the question is: can we use these biases? Can we exploit them? That’s what this talk is about. We wrote about our research to Blizzard – I know some of them are in the room – but we didn’t get any response, so I think they are fine with it. No answer means “Yes”, right? So, the first thing we want to tell you about is how to find undervalued cards. Each card has a value, and the question is: are they more bang for the buck than others? The second thing we want to tell you is: can you predict what your opponent is going to play? Yes, it’s possible, and we are going to show you how, to a certain extent. We also wanted to tell you about how to predict the game outcome. It’s very interesting, except we don’t have time – 45 minutes is too little. And of course we wanted to tell you about incoming alien invasion. No, wait; not this one. How many of you have played Hearthstone? Can you please raise your hand? Not everyone. Okay. How many of you reached legend? No one. Okay. Sorry. 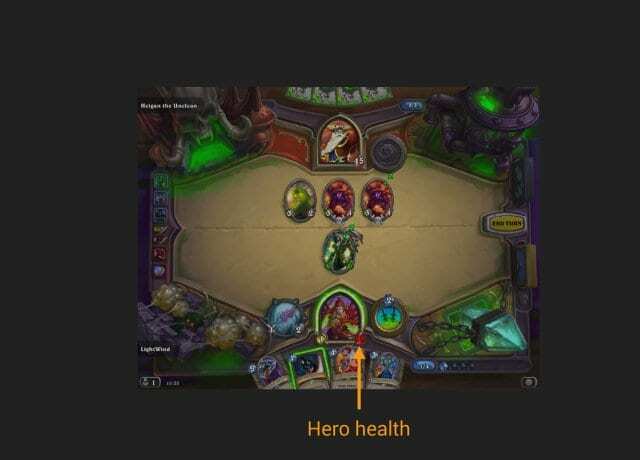 That being said, for those who have never seen Hearthstone, here is what a normal game looks like (see right-hand image). It’s a board game. It’s a turn by turn; it’s two players. Each person is represented as a hero, which is inspired by World of Warcraft characters. You are at the bottom; here I’m playing Valeera, which is a Rogue hero. And my opponent is playing Heigan, which is a solo player only here. The game ends when health pool of one of the two heroes reaches zero. The health pool is on the right side of your portrait (see leftmost image below). So, how do you kill people? 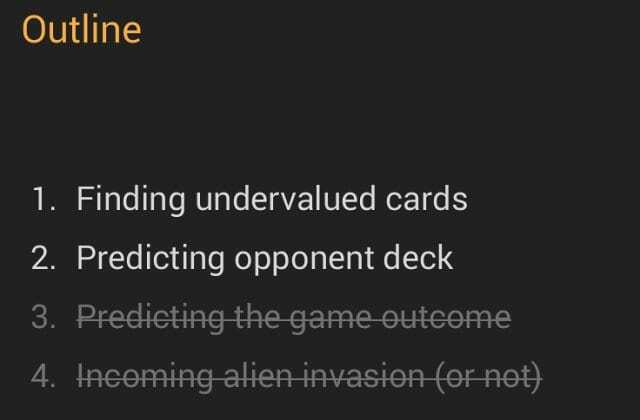 Well, you use decks (see middle image below). And the decks contain cards: 30 cards for each player. It’s a hard limit, you can do only 30, not 29, not 31 – just 30. Each card has special effect. 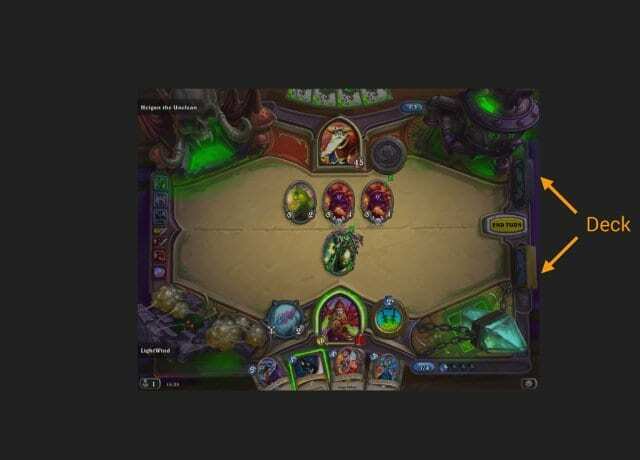 Every time you draw a card and the card goes into your hand – you can see one of the cards is highlighted in green (see rightmost image below); this means you have enough mana to play it. Mana is the resource you use to play cards. Your opponent also has a hand (see leftmost image below). You only see the back of it, obviously, because you don’t want to see people’s hands. For those who are curious: no, the game does not know the card ahead of time; and no, you can’t cheat with that, I checked. The mana pool that I mentioned is depicted on the right side (see middle image below). It goes from 1 at the first turn – up to 10. After turn 10 it can be replenished but does not increase. So the maximum amount of mana you can have is 10. Cards can be multi-purpose. They can be the weapon or spell, which you play immediately. They can also be what we call Minions, or creatures (see rightmost image above). You can have up to 7 on the board for each player. Here you can see I have one VanCleef, and my opponent has 3 Minions which are on the top. 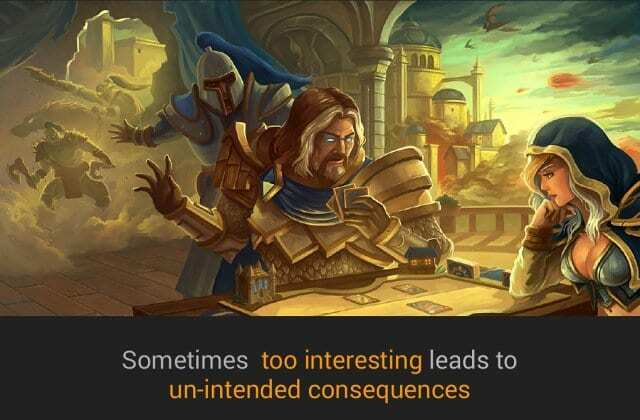 Alright, that’s basically what Hearthstone looks like when you play it. It’s obviously designed to play on a tablet. They simplified it a lot compared to Magic (Magic: The Gathering). So it’s very simple; they tried to make it very easy for people to get in and get their first free shot before buying cards, which is how they make money. Here is a quick video of me playing Hearthstone in normal game mode, just to show you the game (watch video above). You can see this is my turn, so I’m playing; my card does a special effect, brings a new card into the game. I draw a card which goes into my hand, I play another card, and I click End Turn. And then my opponent has a secret, which is a trigger effect. That’s basically what a turn looks like. On the video it looks awesome because the guy played really fast. Sometimes you have up to 90 seconds to play your turn, so you have to wait and drink your coffee. Some people try to actually play 2 games at a time.